Check out DeepNote, the Guitar Hero playing Bot from the guys at Mechanized Rock. What makes our bot unique? DeepNote plays guitar like a human does; it looks at the screen with its eyes and analyzes and plays it in real time. Unlike existing bots, it makes no use of video input signals, or a preprogrammed note chart. 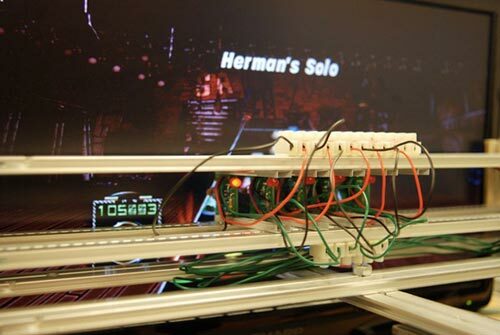 Head on over to Mechanized Rock for more details of this cool Guitar Hero Bot.